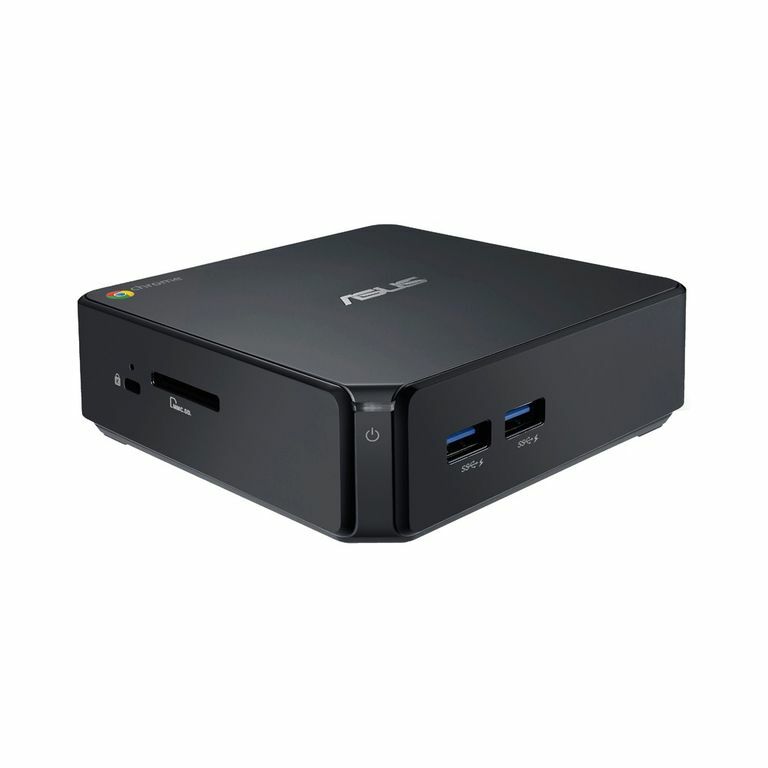 ASUS continues to produce the Chromebox devices but has discontinued the M075U for more affordable versions. Of course, there are also several low-cost Windows-based systems available now that compete with it. Be sure to check out the Best Small Desktop PCs for more current alternatives. Jun 18, 2014 - The ASUS Chromebox is a very different computing device. It is sort of a cross between a streaming box and a basic computer. By using the ChromeOS, it is very efficient for doing basic internet actions like browsing the web, email, streaming media and even productivity with Google Docs. The difference is that the Core i3 based Chromebox supports 4K displays that streaming boxes currently don't. Of course, many people don't need this ability yet and the $200 cost difference between the Core i3 and Celeron versions is probably not worth it. So, if you have a 4K home theater setup, it is probably a solid option but most people would be better spending for a full PC or buying the lower end Chromebox. 4.88" x 4.88" x 1.65"
Jun 18 2014 - At first glance, the ASUS Chromebox might be mistaken for a video streaming device because it is so small. The device is just under five inches square and over one and a half inches tall. Even though it may look like a streaming box, it is really a computer not unlike other small form factor systems. The difference is that it is running the Chrome OS similar to what a Chromebook would but without the portable form factor. For most people, this is a device that you would probably end up using with a home theater system so that you can access information online rather than a Windows or Mac system that would be used for traditional programs. Now there are several versions of the ASUS Chromebox but we're looking at the M075U model which features an Intel Core i3-4010U dual-core processor and features a $400 price tag. This is almost double the cost of the M004U version that features a Celeron 2955U dual-core processor and just 2GB of memory. With the ChromeOS being fairly limited in its features, why would you want the more expensive version? Well, the Core i3 processor provides it with enough performance that it can be used with a 4K or UHD display that the Celeron does not. The extra 2GB of memory also makes a big difference in the performance of the system if you happen to be running a large number of Chrome windows at the same time. So, if you need 4K or like to have lots of windows open, the Core i3 model is preferred but the Celeron model works just fine with 1080p displays for those doing minimal tasks. Storage is probably going to be one of the areas of concern for those using the Chromebox. Regardless of the version you get, it will only come with a 16GB solid state drive, of which you have around 12GB of free space. This doesn't provide much space to store items locally. For instance, it would only fit a couple of full length 1080p HD movies. Of course, Google wants you to store your files in the Google Drive cloud service and users do get 100GB of data for free for two years. Surprisingly, the SSD uses the new M.2 interface that has the potential for incredibly fast speeds. Sadly, the drive is stuck in the SATA mode which means that it runs about the same as any other SATA based SSD drives. If you do need additional space, the Chromebox does have four USB 3.0 ports (two front and two back) for use with high-speed external drives and an SD card slot. There is no DVD burner. Don't expect a whole lot from the graphics in the Chromebox. All of them use the graphics that are built into the CPU. For the Core i3 version, it uses the Intel HD Graphics 4400. This offers better 3D graphics support but it still has limited performance. You certainly won't be using it for 3D gaming because it still lacks the performance for high frame rates unless it is at much lower resolutions. The big difference is that the Core i3 version is able to support 4K displays and video streaming that the Celeron model cannot. It is helped by having both an HDMI connector for standard monitors and a DisplayPort connector for use with UHD class displays. One word of caution for those that might be considering the less expensive Chromebox model from ASUS. It does not come with a keyboard and mouse like this model does. That means you have to supply your own but they are relatively affordable. At least ASUS does provide a wireless keyboard and mouse combo for the Chromebox which is very helpful if you are planning on using it in a home theater environment. The keyboard is a bit small like a laptop keyboard but it actually has a decent typing experience. The mouse is a traditional optical model which is a bit disappointing as a trackpad attached to the keyboard would be more convenient for how many people will use the system. At $400, the ASUS Chromebox M075U is a bit on the high side. After all, this is not a full-fledged computer but more a specialized web-based client box. Spending just $200 more will get you a larger but very capable Mac Mini that offers more performance, storage and capabilities. One could also spend a bit more to build a Core i3 based NUC box from Intel that offers a similar small profile but with the storage and OS of your choice when you build it. The device is best suited for those that want to have their home theater connected up to the web for streaming 4K video unlike the current media streaming boxes and the ability to use it for services such as mail, web and even productivity software through Google Docs.